As Aircraft Mechanic, you will need to support the Engineering department in performing aircraft maintenance and servicing to ensure a high level of safety, reliability, security and presentation required by customers, regulatory authorities and the company, in a cost-effective manner. 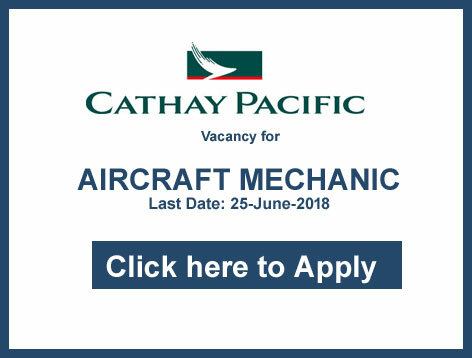 Perform aircraft maintenance when roster to do so under guidance of the Aircraft Technician /Aircraft Engineer and Assistant Engineering Manager. Perform maintenance and servicing of third party operator’s aircraft in accordance with the applicable SGHA. Provide a high level of customer service. Completion 2 years as aircraft mechanic in air transportation business or suitable years of experience from an outside organization. Right to live and stay in Thailand.